The Palestinian Authority issued a threat this week to members of the United Nations Educational, Scientific, and Cultural Organization to get them to vote for an anti-Israel resolution that is pending before the international body. 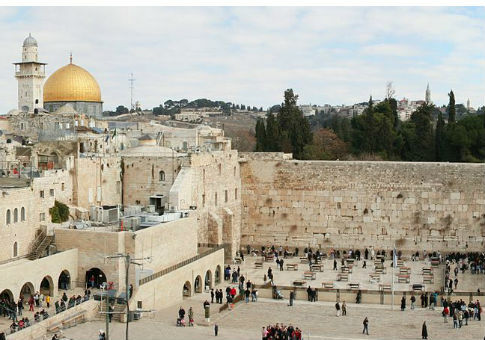 Although UNESCO voted on Oct. 13 to pass a resolution that denies Judaism's ties to the Temple Mount, the religion's holiest site, and the Western Wall in Jerusalem, the Palestinian Authority is now seeking to pass a similar resolution about alleged Israeli violations in Jerusalem's Old City. The Palestinian Authority and Jordan sent a letter Monday to the 21 members of UNESCO's World Heritage Committee threatening to introduce text with harsher language against Israel if the current proposed measure is not passed with full consensus from the body, the Times of Israel reported. "The delegation of the Hashemite Kingdom of Jordan and the delegation of Palestine would and according to the rules of procedure be obliged to consider other options," the letter said. Jordan often acts as a protector of the Palestinian Authority and works with Israel regarding access to the Temple Mount and security. Israel is currently working to lobby the member states who will have a say on the matter in a bid to stop the resolution. The 21 members of the UNESCO World Heritage Committee that will vote are Poland, Finland, Burkina Faso, Portugal, Croatia, Azerbaijan, Kuwait, Indonesia, the Philippines, Vietnam, South Korea, Kazakhstan, Tunisia, Lebanon, Peru, Cuba, Turkey, Jamaica, Zimbabwe, Angola, and Tanzania. This entry was posted in Issues and tagged Jerusalem, Jordan, UNESCO. Bookmark the permalink.